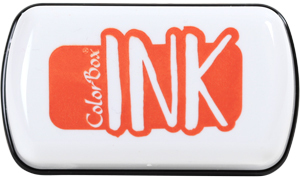 Carrot Dye Ink Mini Pad From Clearsnap is a MUST HAVE! 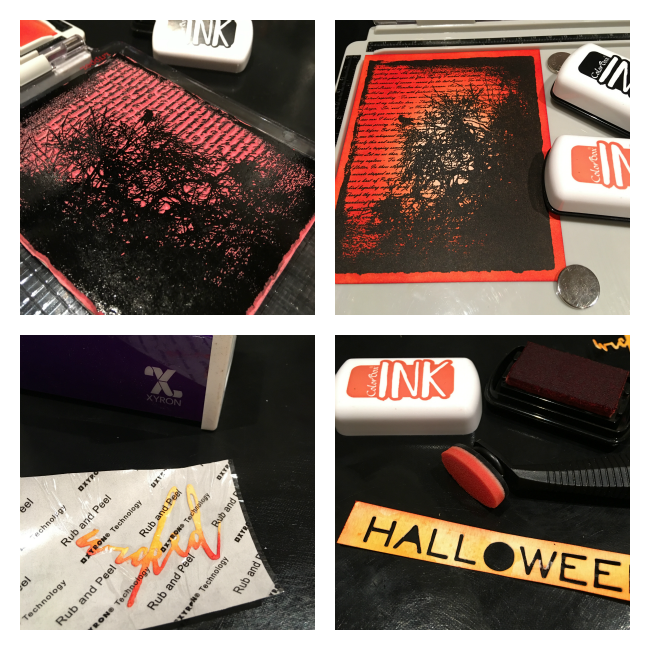 EEK… Halloween is coming and all things spooky! Hello my pretties Nicole Wright here today on the Creative Scrapbooker Magazine blog sharing this rich Halloween inspired card with this bold punch of colour. I have fallen in love with the Clearsnap carrot dye mini ink pad! There’s a fun team up this week with Xyron and Clearsnap. I got a little yummy box of Premium Dye Mini Ink Pads and to my delight there was Carrot and Coal in there. I used the Carrot Premium Dye Mini Ink Pads ink and blended, blended and more blending. BAM… Now that’s a rich orange. I hauled out my Stamp Platform for precision! I wasn’t about to the ruin this inky masterpiece! In July I was in LasVegas so of course I had to go to Viva Las Vegas Stamps where I found lots and lots… and lots of yummy stamps including the Tree Writing Collage. I cut my “Wicked Halloween”, perfect for the Sticker Maker. PHEW… the carrot dye ink is so dynamic all I did was one layer. Check out the detail of how the stamped image in Coal dye ink pops off the Carrot dye ink background! The sentiments are die cut with some scrap paper and against the coal black… I love it! Check out these bold inks perfect for blending to bring out these spectacular colours. Make sure you check out what’s going on all week with Xyron and Clearsnap. There’s a lot of Fall/ Halloween inspiration. Or how I like to call it… FALL-O-WEEN. Ideas for -Scrapbooking – Paper Crafting – Stamping – Card Making and MORE!